Did people really speak like Bertie Wooster? Who was the celebrated Maisie? What does a Jubilee watering trough look like? Where is Loose Chippings? What was "Just Like Mother Makes"? Where does "the exile from home splendour dazzles in vain" come from? What was a gazeka? Why was Bertie Wooster more to be pitied than censured? When did young men-about-town start saying "What"? How did Bosher Street get its name? While P.G. Wodehouse's way with words has long set a standard for literary humour, much in his writing puzzles the modern reader. 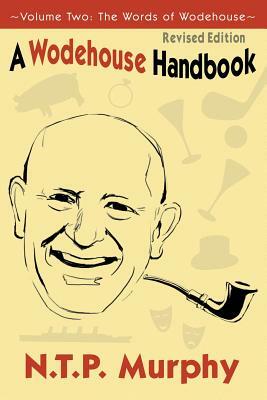 Volume Two of A Wodehouse Handbook answers many of the questions that arise when reading Wodehouse - especially the constant flow of quotations and deliberate misquotations that he used so skilfully. These range from the Bible and the Greek and Latin writers he knew so well, through Geoffrey Chaucer to writers like Ogden Nash and Mickey Spillane. Often he incorporated them into his stories so cunningly that the reader sometimes does not recognise them as quotations at all. Wodehouse also made a point of being up to date. From his first book in 1902 to his last in 1975, there are topical jokes, catchphrases, advertisements of the time and extracts from popular songs which everyone recognised when the books were published. In this volume, Norman Murphy explains the many references to people, places, and events that were appreciated by contemporary readers but are often mystifying today. He also identifies for us the myriad quotations that abound in Wodehouse's books and the songs, advertisements and long-forgotten catchphrases that Wodehouse used over seventy-five years. His findings, covering an extraordinary range of language and usage, from Aristotle to Variety magazine, will be of interest to all book-lovers and add to their appreciation and enjoyment of Wodehouse's superb writing.